Pros: An excellently acted and cleverly adapted version of Shakespeare’s Richard III. The odd injection of comedy added to the tragic tale makes it approachable even for people who aren’t acquainted with the play. Cons: The immersive aspect was a bit awkward and overly intense at times, especially if you weren’t expecting it. This is not for the faint hearted or the easily embarrassed. 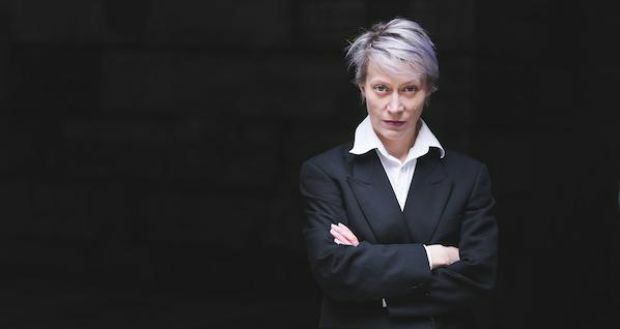 A one-woman, one act, immersive theatre adaptation of Shakespeare’s Richard III really shouldn’t work, but somehow it does. Cleverly adapted and well-executed, this show is intense and more than a little uncomfortable at times. Richard III definitely wasn’t high on either my or my co-reviewer’s list of plays to see, as neither of us is a big fan of Shakespeare’s works, and especially not of the serious ones. When we realised we’d be seeing a one-woman version of the play as well, we really weren’t sure what we’d get ourselves into. We arrived at the venue, a new community performance space in Elephant and Castle, and were asked to queue in the hallway outside the main room. The audience members were let in one by one, with some given name tags to wear around their necks denoting characters from the play. Thankfully we were at the back of the queue, so we were saved from actually being involved! 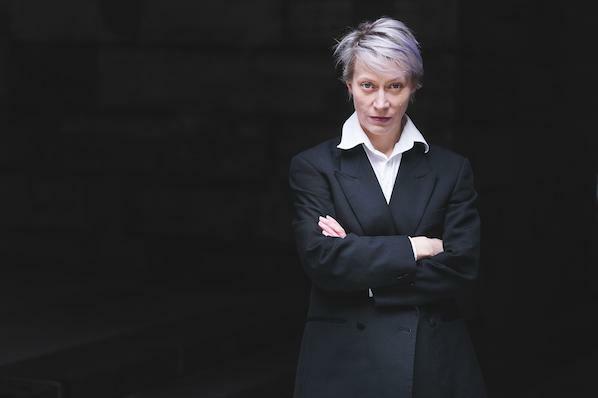 The character of Richard III is played brilliantly by Emily Carding, who delivers the lines with humour and passion. This isn’t a play that I’m that familiar with, but I could follow it all the way through without a problem, despite it being the original Shakespearian text. Carding inhabits the king’s persona and his deformities extremely well; she shows perfectly how the anguish his physical impairment causes him leads to his decent into evil and madness. The audience is seated in a circle around the side of the room. The only props are an Ikea coffee table with a copy of Richard III, a bottle of red wine with a glass, and a swivel chair, which Richard uses to swivel around the circle and deliver lines to all of the audience members. The latter was an intense and sometimes uncomfortable experience with the actor just inches away from your face. Carding also pulls unsuspecting members of the audience onto the stage at various points, responding to their real life responses but never slipping out of character. With hardly any props, only one actor and no lighting, the success of this performance relies entirely on the performer’s skill, delivery and her interaction with the audience. Carding deserves to be commended for pulling off the unexpected feat of making this one-woman, immersive version of Shakespeare’s classic such an excellent show. Carding’s performance of Richard III is part of a scheme to bring theatre to low and no income audiences currently being trialled. The scheme, called Ticket Forward, offers regular theatre-goers the chance to purchase extra seats. These are then distributed via local charities to people who wouldn’t normally have the opportunity to access cultural experiences. This is the first scheme of its type in the UK and could be rolled out in theatres across London and beyond.